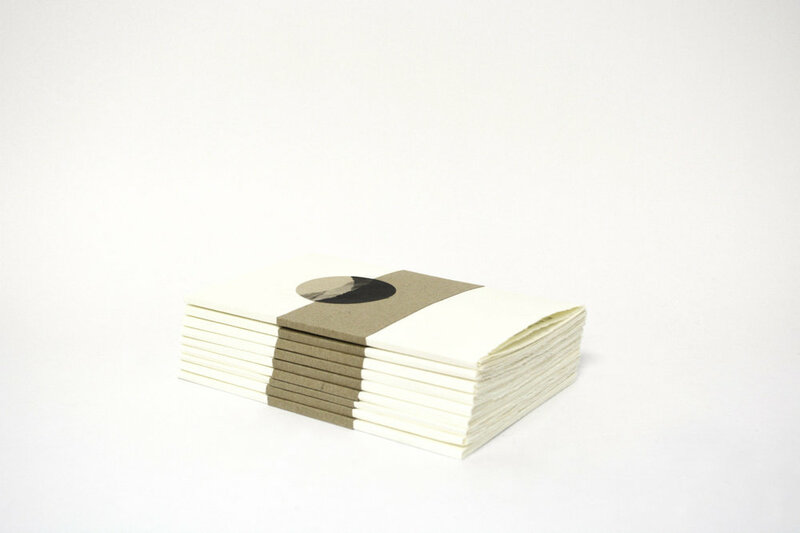 Unique state artist book featuring 36 monoprints printed on Ho-Sho paper, coptic bound. A series of nine unique silk screen concertina artist books depicting recalled memories of the west coast of New Zealand, specifically the Waitakere Ranges. A series of monoprints on 150gsm Hahnemühle paper. Each book is unique. Presented at Abbotsford Convent Open Spaces, November 2016. Lithograph print folded into a concertina structure with wrap cover. Handprinted by Jaime Powell. Exploring the blurred mountain-scapes observed from repeated train journeys between Melbourne and Castlemaine, in 2015.